We are delighted to share with you two insightful behind the scenes featurettes for the heartfelt story of acceptance, Every Day based on David Levithan's acclaimed New York Times bestseller. 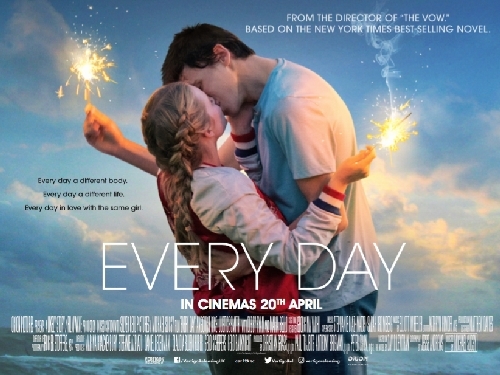 Starring Angourie Rice (The Nice Guys) alongside Debby Ryan (Jessie - Disney Channel), Justice Smith (Paper Towns) and Owen Teague (IT), this heartwarming story tells the tale of love and acceptance - in cinemas April 20th. day. Feeling an unmatched connection, Rhiannon and A work each day to find each other, not knowing what or who the next day will bring. The more the two fall in love, the more the realities of loving someone who is a different person every 24 hours takes a toll, leaving Rhiannon and A to face the hardest decision either has ever had to make.